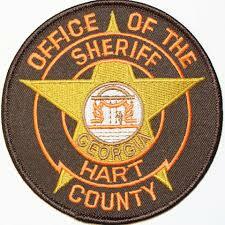 According to a report by the Hart County Sheriff’s Office, deputies responded to a call on April 12 at approximately 6:04 p.m. in reference to juveniles shooting a bb gun at a school bus. Deputies met the driver and bus monitor at the bus barn. The driver told the deputy she was letting students off the bus on Owens Lane when she saw two black male juveniles on a porch with a bb gun. The driver said the larger of the two juveniles shot the gun at the bus, hitting the windshield. He then gave the gun to the smaller juvenile, who also shot at the bus. The driver said she believed they were still shooting at the bus when she drove off. The bus monitor corroborated the details of the incident. The monitor also said the two juveniles were family members of the student just dropped off. The deputy noted three places hit on the windshield, two in front of where the driver was sitting and the other on the passenger side. Captain Stan Mize went to the location to talk to the juveniles and their family. According to the father, he had already taken the bb gun from the juveniles. Both juveniles also admitted to shooting the bus. The case was then turned over to juvenile justice.